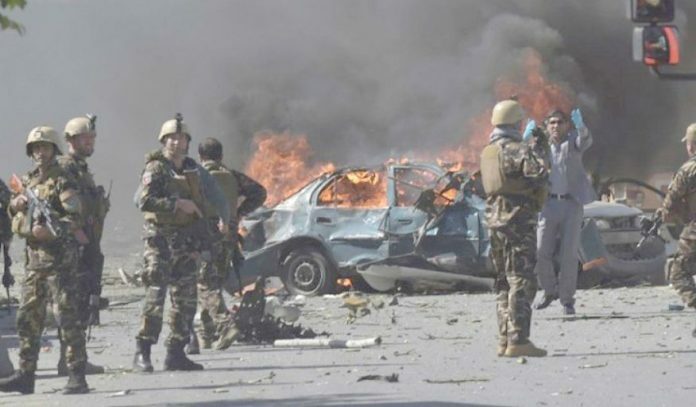 AFGHANISTAN: An Afghan official says a roadside bombing has killed five civilians and wounded seven in the country’s eastern Paktika province, while separate attacks in the country’s west killed at least eight security force members. Nawroz Ishaq, the provincial governor’s spokesman, gave the casualty figures for Monday’s blast in the Jani Khail district. No one claimed responsibility for the bombing. Ishaq blamed insurgents who usually plant bombs on roads to target Afghan security forces. Meanwhile in Afghanistan’s western Badghis province, the provincial governor’s spokesman says eight security force members were killed in two Taliban attacks late Sunday. Spokesman Jamshid Shahabi says the attacks wounded five security force members and saw 10 insurgents killed. However, Abdul Aziz Beg, the head of Badghis’ provincial council, said the attacks killed 21 security force members.